It is a serious brand of advanced vehicle auto parts for replacement in the automotive aftermarket and original equipment manufacturing. Its owner has a history of nearly 20 years and millions of dollars' annual sales volume, so DOICOO is the preferred choice of professional technicians and do-it-yourselfers around the globe. 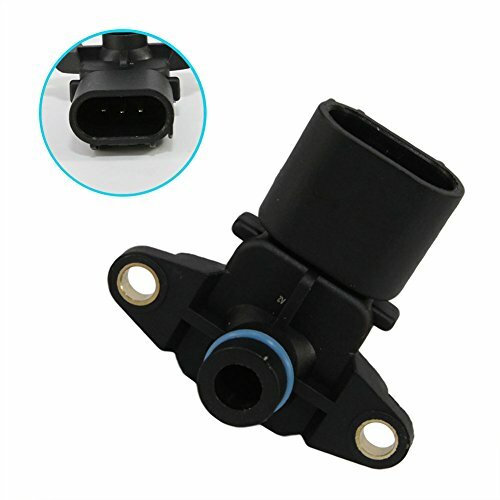 As for its Manifold Absolute Pressure MAP Sensor, it is a brand NEW one, and durably engineered for years of effective performance. ▲▲▲Thanks for your encouraging review and feedback! It really increases our service level and passion of work! Incase you meet problem with our products, please contact us first before you give feedback and review. We will assure you will get the best solution and service. ▲THANK YOU! ▲▲▲Please carefully check your vehicle year/make/model with our description ▲Amazon fitment and Advertisement are not final standards ▲You should read our description carefully, and it will tell you more about the fitment. In addition, you can compare them with pictures first. ▲▲▲▲If you buy a wrong type for your vehicle, please not damage the ▲label and barcode▲ return it in the original package. If you have installed, please clean it and put into the resellable original package otherwise Amazon may not accept your returns. This MAP Sensor fits 2001-2003 Chrysler Town Country Voyager, 2001-2003 Dodge Caravan Grand Caravan, 2002 Dodge Durango, 2003-2004 Jeep Wrangler, 2002-2004 Jeep Grand Cherokee, etc.